The FitBit Ultra wireless tracker is one of the ways a walking traveler can keep up with their steps each day. Personally, I chose this tracker because it is the easiest for me to use. I am absent-minded when it comes to these things and with the FitBit I rarely have to think about it. Every time I take a walking tour, climb a set of stairs, or walk more quickly from one place to another, that information gets wirelessly uploaded onto my FitBit Ultra Dashboard, which is then available to me online. If I want to keep track of calories, blood pressure, or glucose, I can add that information onto my dashboard as well. My Dashboard on FitBit.com. It shows how many steps I’ve taken daily and allows me to set goals to strive for each week. 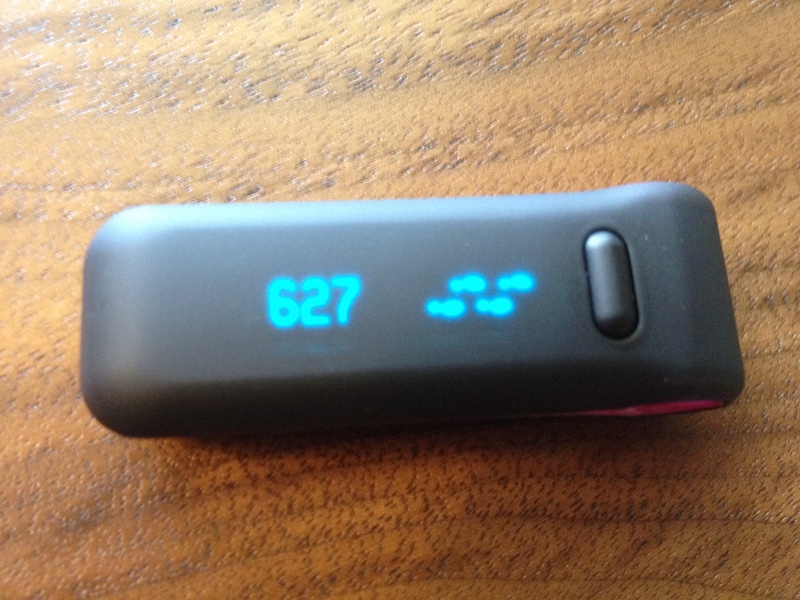 Since having mentioned the FitBit in previous articles, I have received several questions about traveling with it. Below are four tips for traveling with this fitness tracker. 1. Remove the FitBit when going through Security at the airport. While you can take your FitBit on an airplane, you must remove it, along with pretty much every other accessory, when you go through Security. I tend to clip it on my shirt the day of travel so I have more chance of remembering to take it off. The one time I forgot to remove it, it was visible to the Security official who reminded me to take it off before I got to the scanner. Because it was known to the officials, it wasn’t any trouble to remove it, stick it into the plastic bin with my shoes, and walk on through Security. Hubby uses the belt holster, so he takes off the whole kit and caboodle–belt, FitBit and holster–to put into a plastic bin before walking through the scanner. 2. Don’t forget to pack your base charging station. Hubby and I take our computers with us when we travel, so we take one charger, plug it into a USB port, and take turns charging our FitBits whenever they start to get low on juice. I tend to be lazier about it than Hubby, so I charge mine about every two weeks, or when the website tells me the battery is low. This also uploads all the information to the FitBit website, in case I haven’t come near the base charging station in a while. 3. Don’t get FitBit wet! FitBit is not waterproof and, according to friends of ours who have tested the theory, swimming with the FitBit will kill it. Another friend accidentally washed her FitBit and it died soon after. Just like with swimming, a dunk in the washer will destroy it. According to the FitBit website, heavy sweat can also impact it, so when you know you’re taking a long walking tour on the hottest day of the year, be sure to wear your FitBit somewhere on the outside part of your clothes, not up against your skin. Hubby’s favorite place to keep his FitBit is on the belt holster that came in the box. My favorite place is on a pocket on my shorts or skirt. If I don’t have pockets, I attach it to the neck of my shirt. 4. Change the time zone when you travel–or not! The FitBit tracker does not automatically change the time zone when you travel because it doesn’t have a geographic tracker built into it. If you want to make sure your FitBit is on the same zone as you are, be sure to log in to your FitBit Dashboard and tell it where you are. Hubby actually likes not changing the time zone when we travel within the United States or Canada because he says it gives him extra time each day to get in his steps when we travel to the East Coast from the West. For example, if his FitBit is set to Arizona time but he is in New York, that means that when it is midnight in New York, it is only 9pm in Arizona, so he has three “bonus” hours to get his steps in if it has been a low-step day. 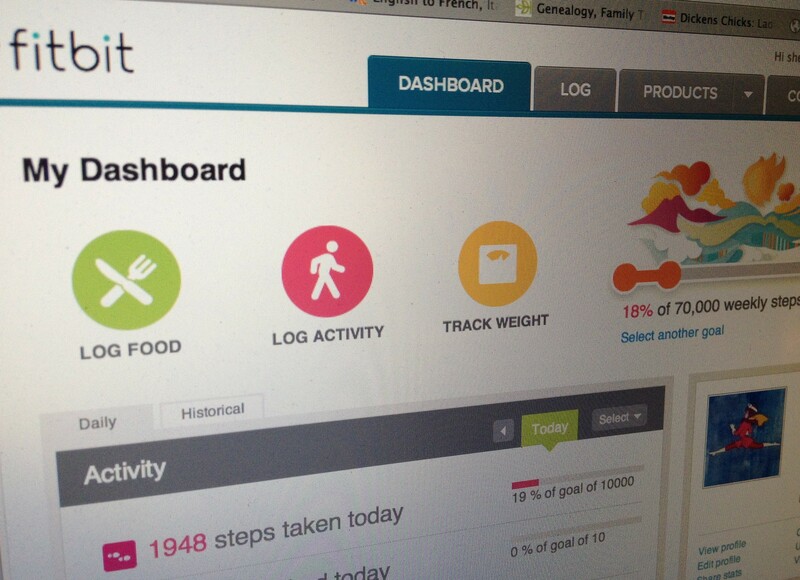 Hopefully these little tidbits will help you travel with your FitBit tracker. Be sure to ask any other questions you may have about it in the Comments section below. If you have your own tips for traveling with a FitBit, add those too!